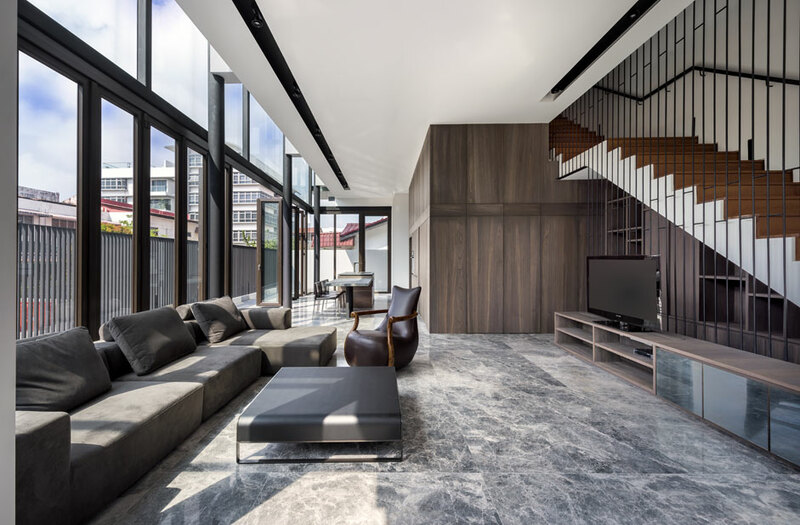 The project is a 3.5 storeys corner terrace house with an exterior consisting of off-form concrete and fixed glass volumes protruding from the side elevation. The glass box and the further setting back of 1.0m for the 2nd storey internally result in a bright and well ventilated living and dining room on the 1st storey. Internally, the corridors and staircases are designed to be as light weight as possible to allow more lights to enter into the house via the triple volume spaces where the straight flight staircases resides.